The British Embassy has updated its guidance on taxation for Britons who are resident in Spain, following the recent Royal Decree that reinforces an existing obligation on all residents in Spain – both Spanish and foreign nationalities alike – to file an annual informative declaration of assets held overseas. The Decree allows for tougher penalties for non-compliance. Tenants who are in arrears with their rent can be evicted within ten days if they are not able to present a reasonable explanation before a judge. This is just one of the measures contained in a bill entitled “Measures for Promoting Flexibility and Giving Impetus to the Rental Housing Sector”, which has been put into force, by the Spanish Council of Ministers. In the past regulations forced the landlord to sue in court and obtain a judgment for eviction due to non-payment of rent. This was a very lengthy process, and right up to the last minute, the tenant could pay something and avoid eviction. 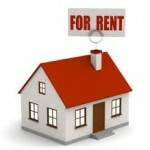 The new law sets a deadline of ten days for the tenant to pay their outstanding rent, and if they do not, a judge can terminate the contract immediately, without further proceedings. The completion of the process will be by order of the judge, instead of a decree issued by the clerk of the court. Financial hardship is no excuse for claiming benefits you are not entitled to, benefit officials have warned, as they encourage Brits who suspect a fraudster to call the hotline in Spain. Whether you live in Spain or the UK there’s no avoiding the current economic crisis but taxpayers’ money should go to those who need it most, not to a small percentage of Brits who have chosen to fund a life in Spain at the UK taxpayer’s expense. Homeowners who rent out their properties to holidaymakers are being warned they could face huge fines unless they comply with Spanish law. 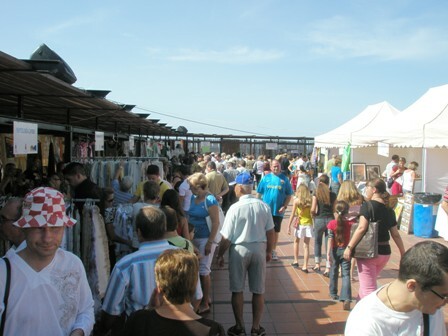 The City Council of the Historic Village of Santiago del Teide, through its Department of Commerce and the Association of Entrepreneurs and Businessmen of Santiago del Teide (ASEMTEIDE), are organising, another Discount Fair, to be held on Sunday 6th November in the Plaza in Puerto de Santiago, 10:00 to 18:00. Bouncy castles for the kids and lots of bargains, time to start the Xmas shopping!!!! The fair will be attended by about 30 companies in the municipality in the following categories: Fashion & Accessories, Furniture, Home and Gifts, Child Clothing, Hardware Stores, Florists, Computers, Perfume, Pet Shops, Bookstores and linens, amongst others. There will be raffles and activities for younger children. A local man in his late forties was pronounced dead at the Playa Chica in San Juan on Monday evening. The man was spotted floating in the water but attempts from emergency services failed to revive him. Witnesses suggest that the man suffered a heart attack while he was in the sea, and was unable to swim back to the beach. Virtually all of Tenerife can expect thermometers to hit the mid-30s today, which will feel even hotter due to the lack of wind. Lanzarote and Fuerteventura bore the brunt of the high temperatures yesterday and the heat wave is expected to spread to Gran Canaria today. The Met Office has raised the alert status to orange (‘major risk’) for Tuesday for all three islands. Forecasters say the hot spell will remain until Thursday at least. The sweltering weather has triggered concern at the prospect of fires on San Juan Night (23 June) getting out of control and causing major blazes. The tinderbox conditions created by the current hot weather may force a rethink of the locations of the bonfires celebrating the shortest night of the year and the accompanying fireworks which are a tradition in some towns. Fire brigades fear that sparks and burning embers could be carried by the wind to adjacent scrubland and woods, setting off dangerous fires. No decision has been taken yet whether to restrict the number of bonfires or ban them altogether in at-risk areas as a precautionary measure. 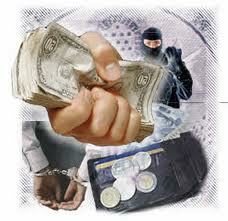 Attention bar and restaurant owners! It has been brought to our attention that in the Cabildo’s Tourism & Planning Department law regulating bars and restaurants, published as decree 90/2010 on July 22 2010, certain minimum conditions are stipulated, and failure to comply could lead to inspectors charging you an on-the-spot fine of up to €3,000. The decree states quite clearly that you must have staff who speak Spanish. We presume that employing one Spanish speaking member of staff would fulfil this requirement. Some of the other requirements are that you must have an exit available, other than the main exit, through which you can remove rubbish from the premises; that you must have an adequate extraction system in the cooking area; that electrical equipment must belong to the energy category B or equivalent, and that you must use energy saving fluorescent tubes and light bulbs. Relating to toilets, there should be one toilet and wash basin available for every 50 dining places. There are many, many more stipulations, and for restaurant owners, it really would be well worth reading this document in detail. Have you tried it yet? If not, Why not? I’m talking about the new Fish Spa in the marina los Gigantes . The spa was recently opened and is great for your feet, the tanks are all filtered and sterilised constantly for the health of the fish as well as the customers, and a foot bath is mandatory before you can put your feet in the tank, all under the watchful eye of Vicky the Manageress. The fish are all genuine Garra Rufa and legally imported, the healing effect of these tiny fish is well documented. When you put your feet in the tank for the first time it can be a little scary, but the mild nibbling sensation is very relaxing, and the massaging of the fish can help to improve circulation. I can’t wait until my next visit and while you are there and well relaxed, why not pop into one of the bars next door and enjoy a relaxing drink, to round off the experience.